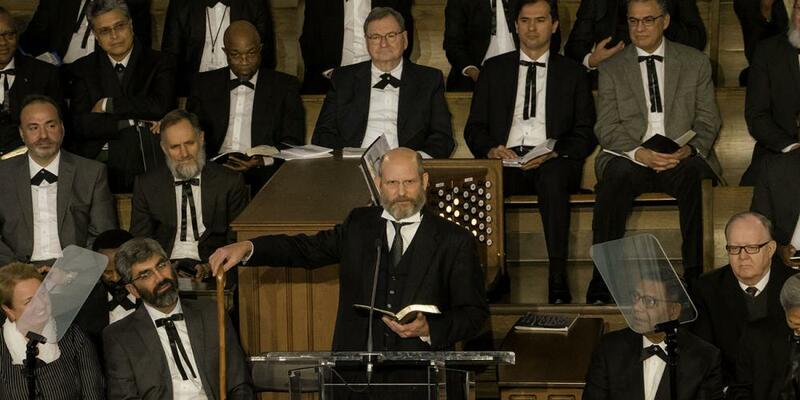 Read the transcript of the sermon. 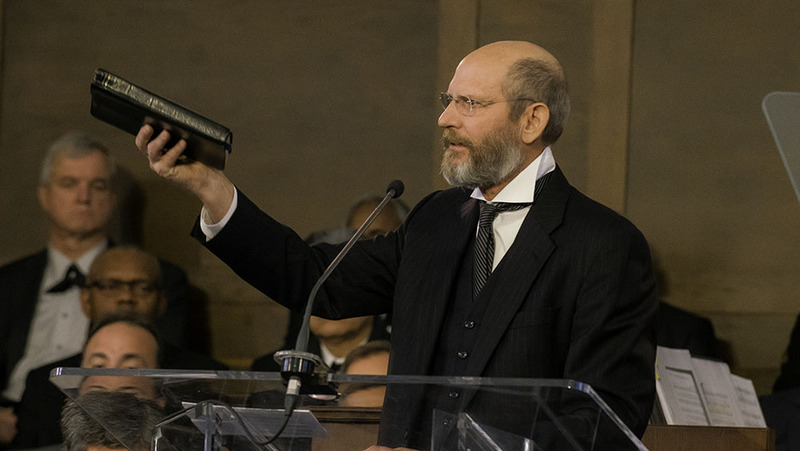 Seventh-day Adventists should emulate the church’s pioneers by being faithful and proclaiming the “good report” of Jesus’ soon return despite any obstacles, Adventist Church president Ted N.C. Wilson said at the church’s birthplace in Battle Creek, Michigan. 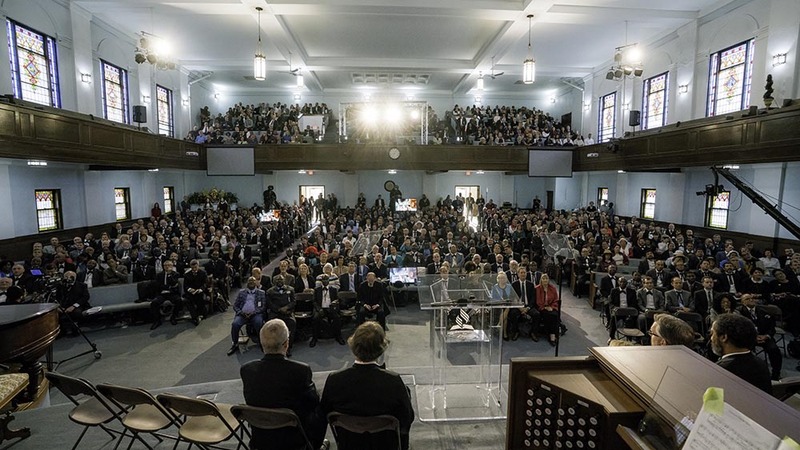 Wilson, speaking in his annual pastoral address to church leaders, also warned against influences from inside and outside the church that seek “to derail and destabilize” its mission. 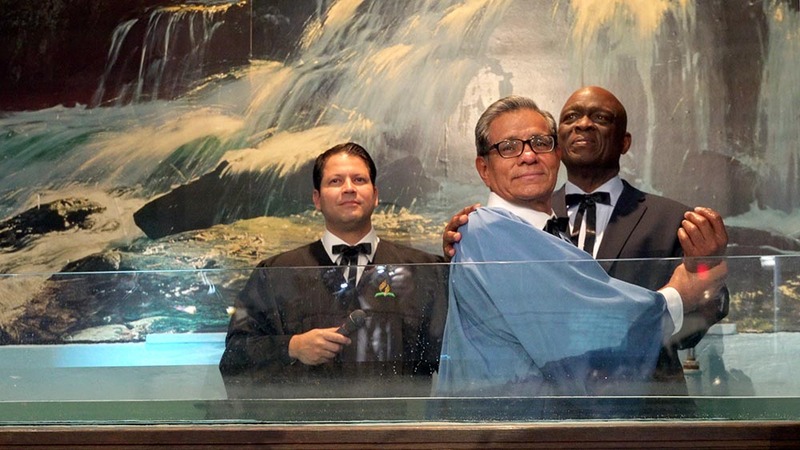 The audience — comprised largely of world church leaders gathered for Annual Council, a yearly church business meeting — joined Wilson in celebrating the joy of soul-winning with the onstage baptism of a businessman from Mexico. “My message today is for every local church member around the world, including us here in Battle Creek since we are all local members somewhere,” Wilson said in his Oct. 13 sermon, “The Past With a Future — Looking Back to Move Forward Led by God,” in the Battle Creek Tabernacle. A number of listeners looked like they had stepped out of the 19th century, the era of the pioneers. Men, including Wilson, had beards and old-fashioned neckties, while women wore long dresses and shawls. The clothing was meant to pay tribute to the pioneers on the 155thanniversary of the founding of the Seventh-day Adventist Church in Battle Creek in 1863. As part of the anniversary celebration, Annual Council participants also attended heritage-themed seminars and tours around Battle Creek, including to the grave of church cofounder Ellen G. White, during a Leadership Educational and Development (LEAD) Conference on Oct. 11-13. He noted that beloved pioneer Ellen White herself had found inspiration in remembering how God had led in the past. “She wrote, ‘In reviewing our past history, having traveled over every step of advance to our present standing, I can say, “Praise God!” As I see what the Lord has wrought, I am filled with astonishment, and with confidence in Christ as leader. We have nothing to fear for the future, except as we shall forget the way the Lord has led us, and His teaching in our past history,’” Wilson said, reading from White’s book “Life Sketches,” p. 196. “This is one of the primary reasons we are meeting for the 2018 Annual Council in Battle Creek, where our church was nurtured and had so many evidences of God’s leading during the formative years of the Advent movement,” Wilson said. Church members around the world have been praying for God’s guidance for the three days of Annual Council, which starts Oct. 14. Wilson called for prayers in a video message released Oct. 10, and other church leaders have made similar appeals. At the top of the Annual Council agenda are unity and the church’s mission to spread the gospel. Wilson said the pioneers struggled at times to find unity, and he encouraged church members to keep their eyes on Jesus. Wilson also warned against “overemphasizing social issues while downplaying or neglecting biblical truth and its relevance for today’s society” and appealed for Adventists to be faithful to the Sabbath, the biblical six-day account of Creation, and the biblical marriage between one man and one woman. Turning in the Bible to Numbers 13, Wilson read about the 12 spies sent by Moses to Canaan, and the return of only two with a good report. The other 10 spies forgot God’s miraculous leading in the Israelites’ recent past and delivered a bad report. Wilson shared positive mission reports about recent trips to Russia, Germany, Norway, and Mexico, and he invited Jorge Molina, owner of an event-planning company in Cancun, Mexico, onto the stage. Molina has worked with Adventists for years and, impressed with what he saw in the church and read in the Bible, decided to be baptized. 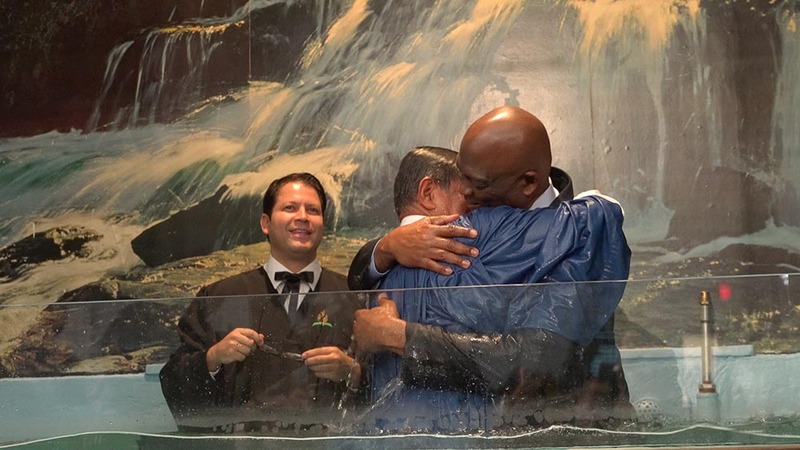 Molina joined Israel Leito, recently retired president of the Inter-American Division, in a baptismal pool to the side of the stage and was baptized. Pastor Presen Delgadillo, who had studied the Bible with him, watched. Wilson invited church leaders to take home a good report from Annual Council. “God is counting on all of us to bring back a good report! … That good report is that He is coming soon!” he said. ​Young Hikers Take Gospel to Solomon Islands’ Jungles Members of “Jungle Ministry” were chased by a man with a bush knife who didn't want to hear about the Sabbath. The School I’d Never Leave In Korat, Thailand, an Adventist international school is known for teaching students good values. But why are some parents hesitant to send their kids there?